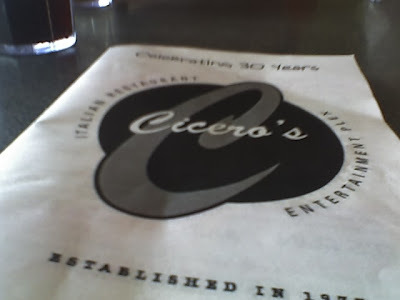 Ok, so it's been awhile, we went there last May, but I wanted to tell you about our trip to Cicero's. 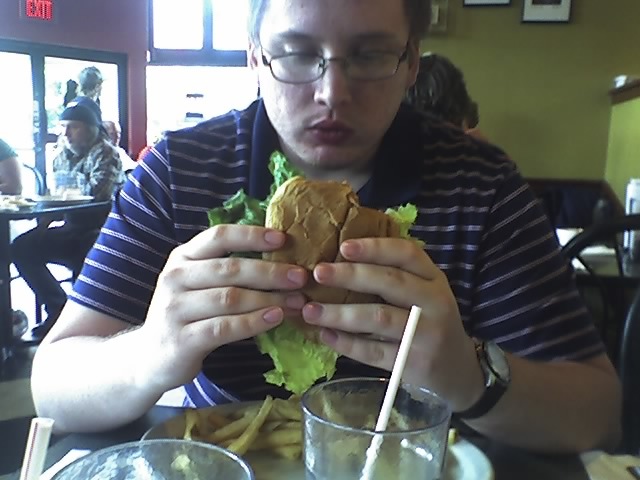 We were celebrating my youngest son's graduation from UMSL and I asked him where he wanted to eat afterwards. Cicero's has a reputation as a college hangout but I really enjoyed the experience. I can't tell you much about them as far as entertainment or night life goes but I can tell you about the food. 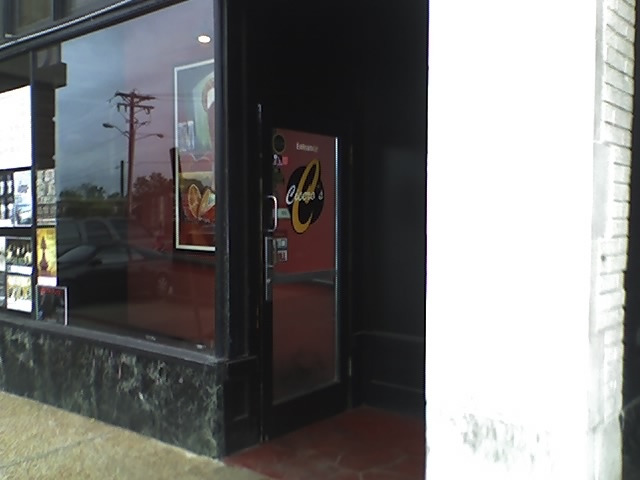 They have a wide selection of sandwiches, entrees and pizza and no one should have trouble finding something that appeals to them. The appetizer platter seemed a little pricey but we were celebrating so I ordered it anyway. 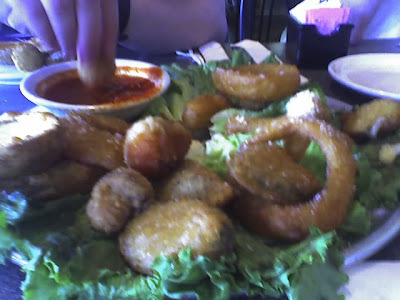 It showed up absolutely loaded with toasted ravioli, breaded mushrooms, beer-battered onions rings, fried zucchini and potato skins. Everything on it was great! The boys both got half pound burgers that were huge. They had trouble finishing them but somehow managed. Jenny and I had a seafood and pasta dish that was wonderful but there was so much of it neither one of us finished it. I took mine home and had a nice snack for later. Definately a place I will go again, for more info, menu and directions check out their website.